Jharkhand Ration Card Download Online - FreeServiceHindi.com - Free Services in Hindi. Download Ration Card Jharkhand: I hope you are doing well & enjoying our free services. Today i will teach you that how to download ration card online, or download Ration Card online using your Ration Card Number. If You don't have the Ration Card Number, or you forgot your Ration Card Number then don't worry because i will also tell you that how to download ration card online if you don't have the ration card number. So below are the Some Simple steps which can help you to Download Jharkhand Ration Card State, with and without Ration Card Number. 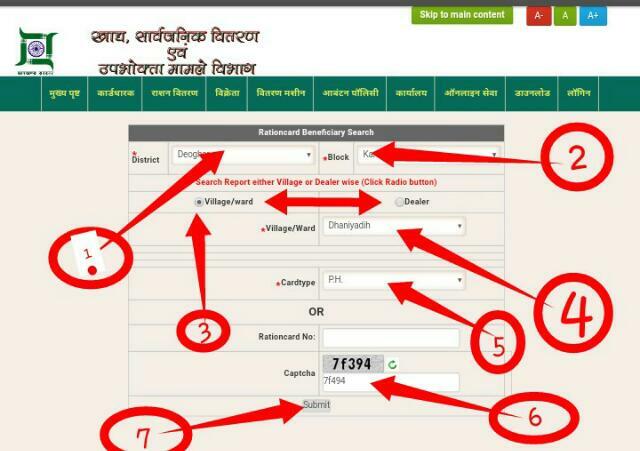 How To Download Jharkhand Ration Card Online Using Ration Card Number? 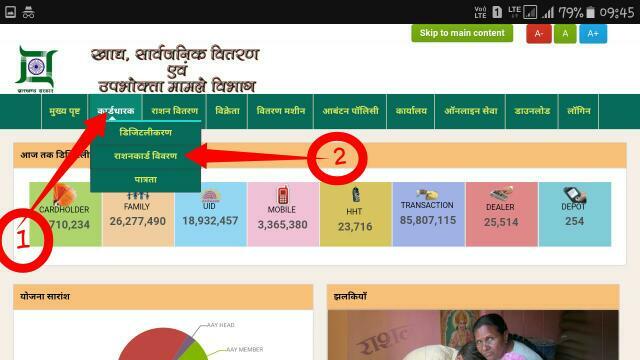 Firstly Visit the खाद्य, सार्वजनिक वितरण एवं उपभोक्ता मामले विभाग, Official Website by Clicking Here. A Page will Open as shown in the image. Now follow the instructions as instructed in the below image. Firstly you have to click on 'कार्डधारक' then a DropDown menu will open and click on 'राशनकार्ड विवरण' and then a Next page will open as Shown in below image. Now Enter the details as shown in image. Eg. Ration Card Number: Enter your Ration Card Number. Captcha Code: Enter the Captcha code which will be shown in image. 'Submit' : And Click on Submit then you will get your Ration Card detail, and if you want download your Ration Card in pdf then Click on Print as shown in image. 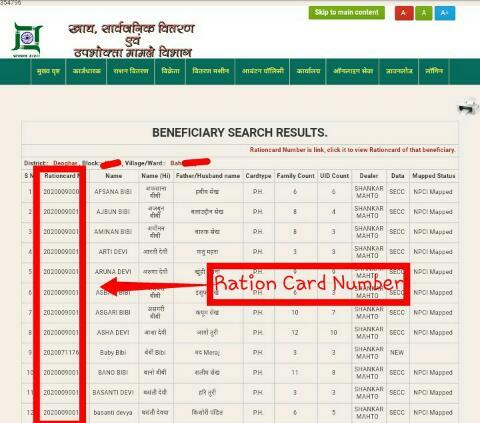 Finally you got your Ration Card pdf or you have downloaded your Ration Card pdf by your Ration Card Number. 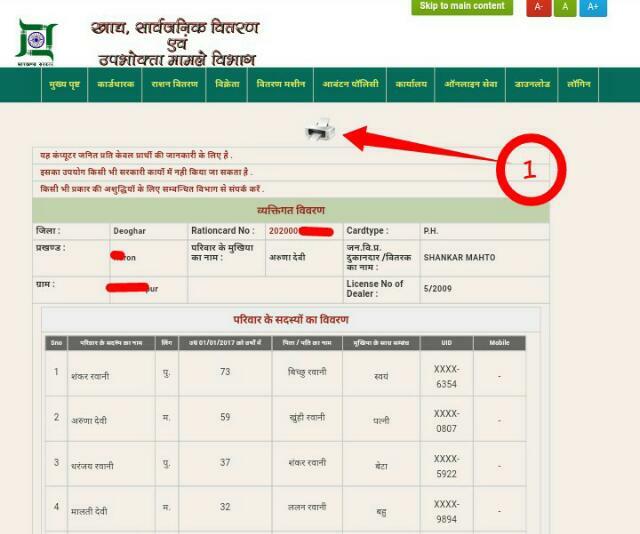 How To Download Ration Card Online in Jharkhand, if you don't have Ration Card Number? Now i will tell you, how you can download your Jharkhand Ration Card online wether you forget your Or if you don't know the Ration Card number. District: Select your District, from where you belong. Select your Village Name from the List. Captcha Code: Enter the code which will be displayed in the Page. 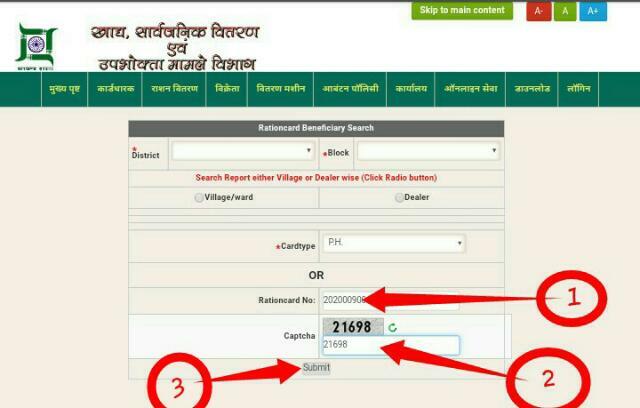 When you click on Submit a page will open with You full List of Ration Card of that Particular Village/Ward, Block, District..